We come to you in the Comfort of your own Home. We will come to you; let’s work one on one. We create a personal training plan for your dog based on their history and your training goals. We coach you through techniques that will assist you in cohabitation with your pooch, and problem solve to change unwanted behaviors. Family dynamics, environmental set-ups and your dog’s individual personality are all considered in the process. You will also receive a written summary of your training plan after your session as a reference. Contact us for rates and to book your 90-minute initial consultation. We will do everything over a virtual chat. Requires Initial Consultation before booking Zoom Session follow-ups. 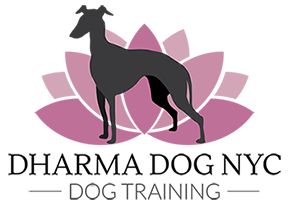 We will work with your dog in 60 minute sessions either in your home or out in the world. Day training includes working on basic leash skills and basic manners. Requires Initial Consultation before booking. Cancellation is required 24 hours before a scheduled appointment or a fee, up to the cost of one session, may be incurred. At the discretion of the trainer, exceptions may be made in the case of emergencies such as illness or inclement weather.